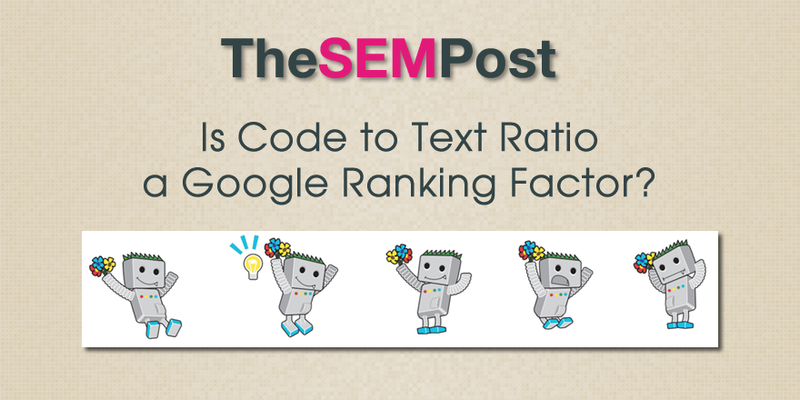 Is Code to Text Ratio a Google Ranking Factor? You are here: Home / Google / Is Code to Text Ratio a Google Ranking Factor? During yesterday’s Crawling and Indexing Q&A with Google, the question was raised about whether code (actual code on the page) to text (the text content) ratio has any impact on Google’s rankings. It is something that people periodically bringing up with regards to SEO. And compounding the issue that it is potentially important is that some various SEO tools flag code to text ratios as problematic for Google SEO, usually flagging when it sees the text percentage of the ratio isn’t high enough. But as we have learned, word count is not directly related to quality. Now, the direct “No” to this isn’t that surprising. But the signs of a high code ratio can hint at other related issues, even if Google isn’t specifically looking at the text to code ratio from a ranking perspective. So while it is worth streamlining code for page speed, optimizing for a specific code to text ratio is not needed.